Facebook | Keller Williams - Lafayette, IN Blog - "Get Real Estate"
If you are not currently in Anaheim at Family Reunion, you are missing out on some of the hottest trends and gadgets in the real estate industry today. No worries – our blog is here to keep you abreast of all the latest developments! A recent seminar held at the conference tackled the popular issue of social media and how to best utilize it as a marketing tool. Tech experts including Liz Landry, Sue Adler, and Jay Papasan weighed in on some of the things you should and should not be doing with your social media. A short list of these “do’s and don’ts” can be viewed below. For the full list, please click the “Full Article” link below. Be yourself – your professional self – people are watching. If you can’t be who you are, perhaps you should reconsider whether being on social media is right for you. Follow good etiquette. Give more than you take. Be Present and Be Authentic. Be negative – Do YOU want to follow someone who is negative? Blatantly/advertise on your profile. Your Facebook profile is not the place to post your listings. Posting listings and asking for business is a sure way to get unfriended/unfollowed! Be 100% about business. Have fun with it. People want to connect with YOU. Keller Williams Signature Partners has a passion for technology that we believe will wonderfully suit your needs as a real estate agent on the cutting edge. Contact us today for more information. An article posted today at Agent Genius discusses several methods for getting the most out of your social networking tools, with a special emphasis placed on converting your leads from your sphere of influence. Several tips are outlined here. For the complete list, please click the “Full Article” link below. Share with your sphere your HOT listing that needs to move and drop a link to your blog post about it. Put a little feeling into your listings by not using automated blog tools. Put your listing in the best light. Be a little more competitive in your market, less kumbaya and a little more taking your business seriously. Keller Williams Signature Partners recognizes the need to effectively utilize technology to manage your business. For more information on what we can do for your career, please contact us. Mega Camp 2010 begins this week in Austin, TX. Agents from around the country will learn about the best in the industry across a variety of topics, from lead generation to social media. As the event unfolds, those who are unable to make it to Austin will still be able to stay up-to-date on all of the latest news and information. KW Blog – Starting today, the Keller Williams Realty International blog will be updated with Mega Camp coverage including videos, pictures, and more! Twitter – Follow @KWRI on Twitter for all of the latest information out of Mega Camp. Additionally, use the hashtag #KWMC for on-the-second, play-by-play of the hottest breakout sessions, biggest announcements and inspirational events. Facebook – Visit the Keller Williams Realty International Facebook fan page to keep abreast of all of the developments rolling out of Mega Camp. Additionally, the event will be streaming live to market centers across the United States. For Keller Williams Realty, education and technology go hand-in-hand. With all of the coverage being provided at this year’s Mega Camp, the opportunity to expand your knowledge and business can’t be missed! 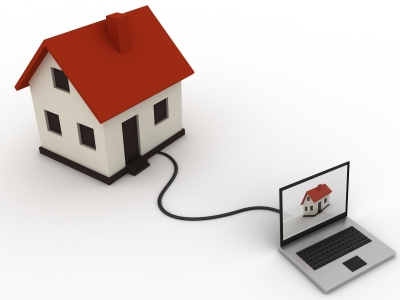 Keller Williams Realty prides itself on utilizing technology to maximize business. Nearly every agent in our office has a Facebook page as well as a Facebook fan page which they use to facilitate communication with both past and potential clients. Many agents also maintain blogs such as this one. No matter what the platform, our associates emphasize technology as a key aspect of their business because it is currently the driving force in our market. When you choose a real estate company, make sure to choose the company with a knowledge of all of the latest and greatest technological trends. Contact us today for more information!